One service.rb file that is for the Sinatra project. I put some break points in the JS file, again had to click on the Service.rb file to start the service in Debug mode and when I went to the web page, it didn't break on any break points in the JS file. What settings or work flow I am missing? What is the correct way of doing this? Please take a look at this screen shot and see if JS debugger is running? 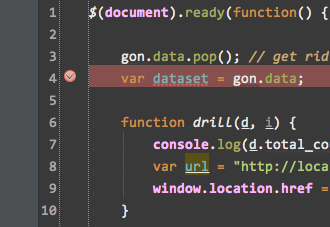 There is a check mark on the break point so does that mean JS debugger is enabled and is working? But why it doesn't break on those break points? 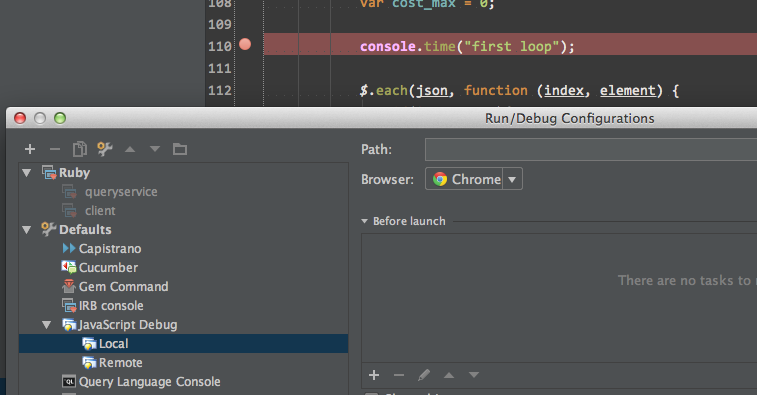 Then switched the confiuration to JS debugging and ran it again in debug mode of JS debugger.